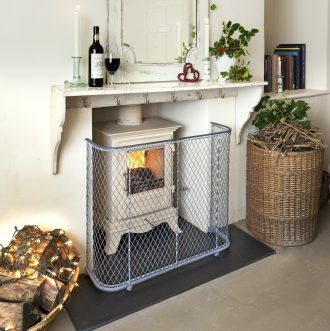 Place your order this month for your bespoke fireguard to ensure pre-Christmas delivery. Traditional and Contemporary designs available. If your wood burner sits within a fireplace, or stands against a wall, we can make a guard to suit. Take a photograph and send it to us with some key dimensions and we’ll make the most economical solution for you. Call us on 01225 851577 or email us at info@garden-requisites.co.uk.